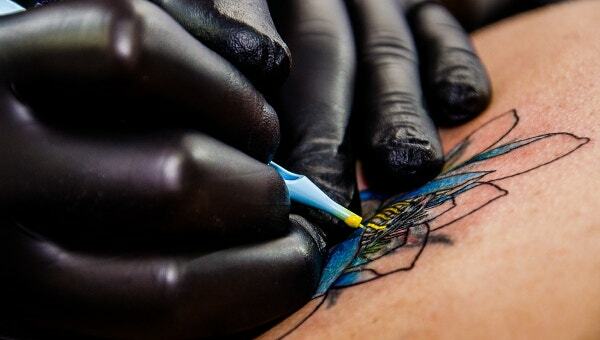 The culture of tattooing has quite been on the rise since the past decade or so. People usually get tattoos for personal reasons. Some of them want to prove to themselves that they are different or brave. 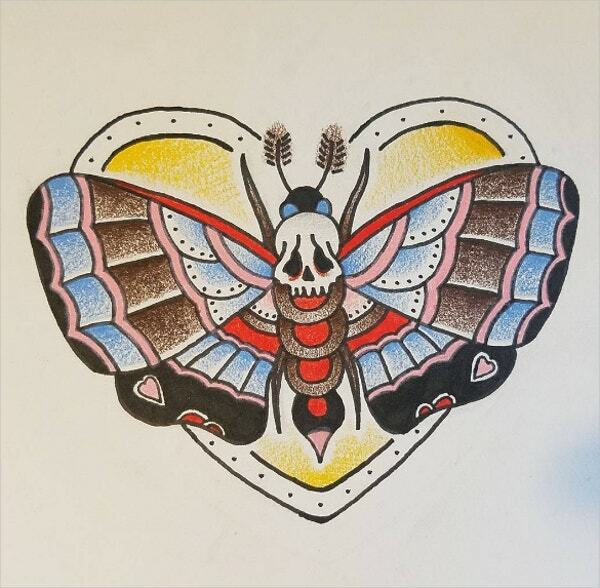 Others want to remember a person they love with their tattoos or still others want to feel spontaneous or turn a new chapter of their lives. 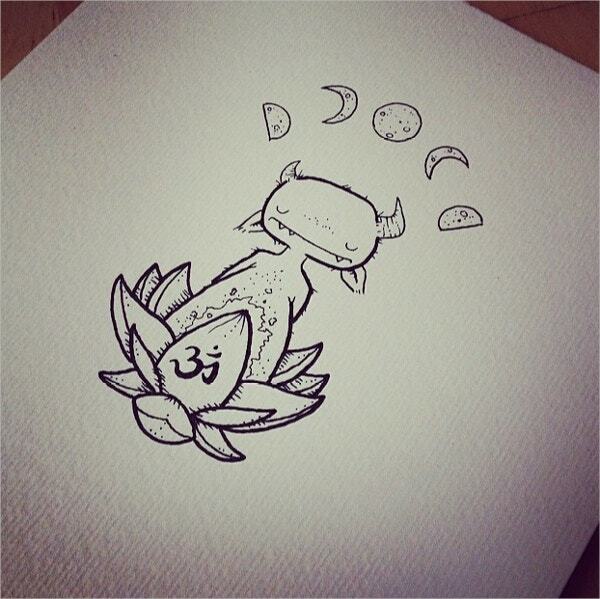 You can seek inspiration for your dream tattoo with the abstract drawings made below. 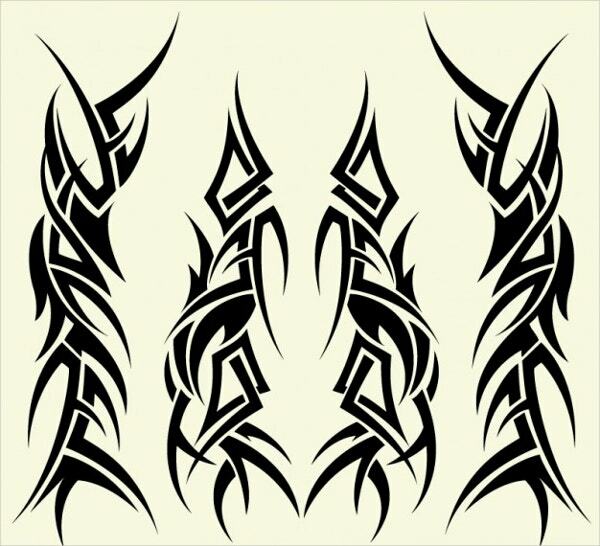 Tribal tattoos are one of the most celebrated tattoo designs opted by men and women for adorning their skin. Graffiti pencil drawings of tribal abstract art such as this exude magical and spiritual conviction. 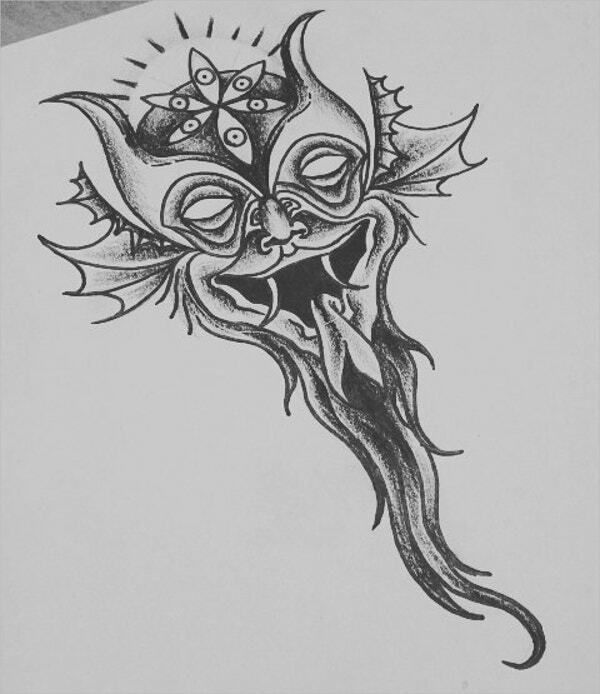 This kitschy devil faced tattoo design can be ideal for those people who have fought hardships in their lives and came out with flying colors. The abstractly beautiful design catches attention immediately. 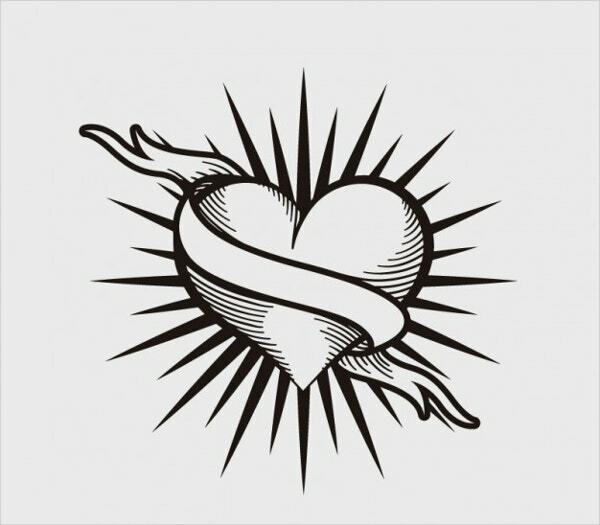 The Vintage Heart Tattoo Design is simply artistic and one of the most celebrated vintage tattoo designs of the present times. It celebrates the eternal feeling of love embraced in glory and radiance. 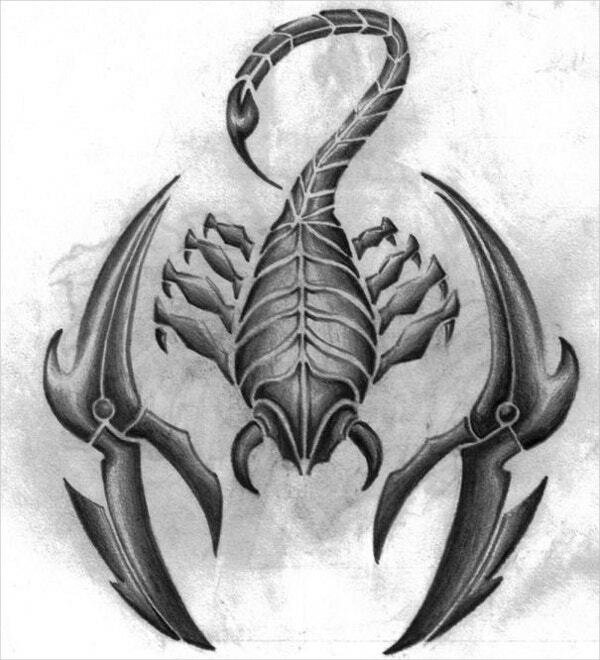 When it comes to distinct animal tattoo drawings, the scorpion tattoo such as the design below is sure to fit your bill because of it’s fierce looking and deadly demeanor. 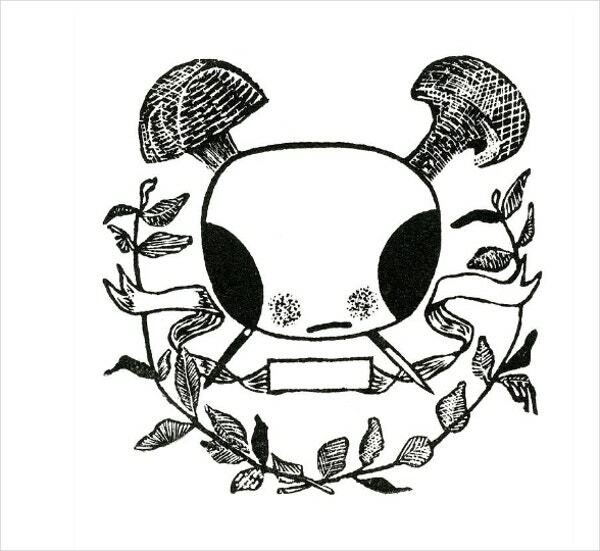 Break conventions with this simple yet innovative rebel tattoo design by Bella Larsson. 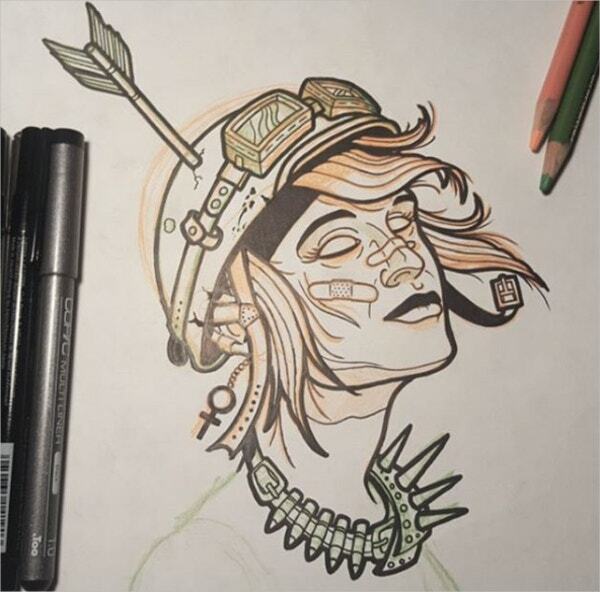 This could be an ideal tattoo for women who like to bend the rules and live freely. 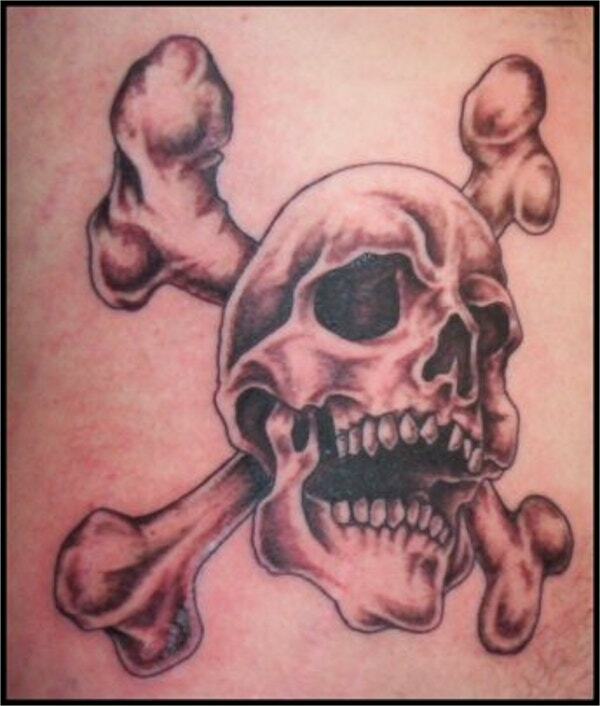 The three-dimensional skull and bones tattoo design in black and brown is a popular and celebrated body art which can be done on the ribs, back or on the arm. 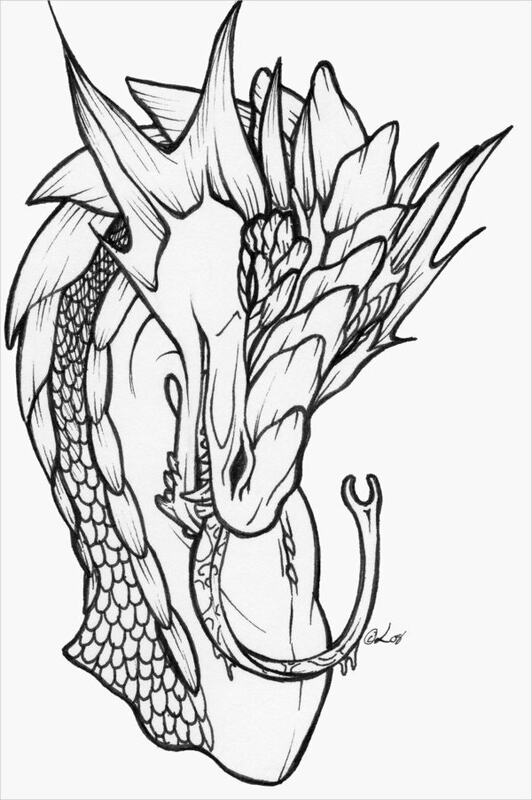 Like scorpions, dragons are one of the most commonly used motifs for tattoos to celebrate power and victory. 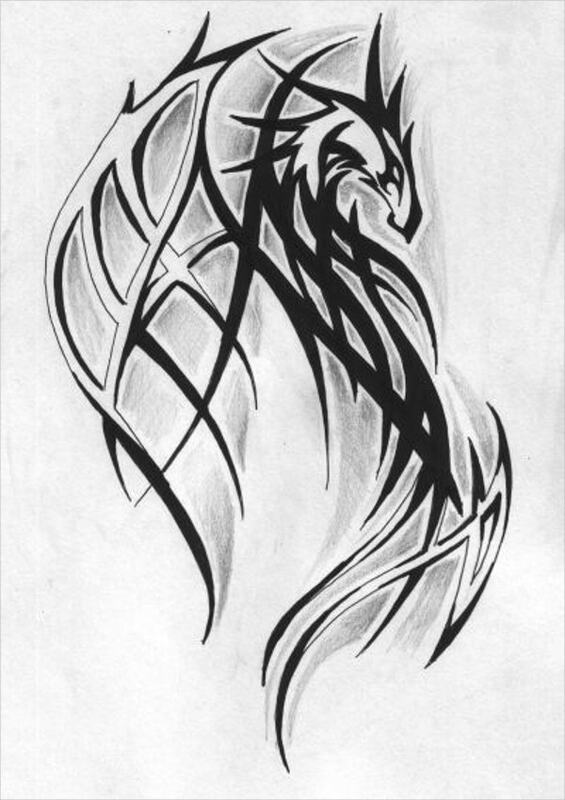 Much dedication and creativity have been put into designing the abstract Dragon Tattoo with its exemplary face and an elaborate body stature. 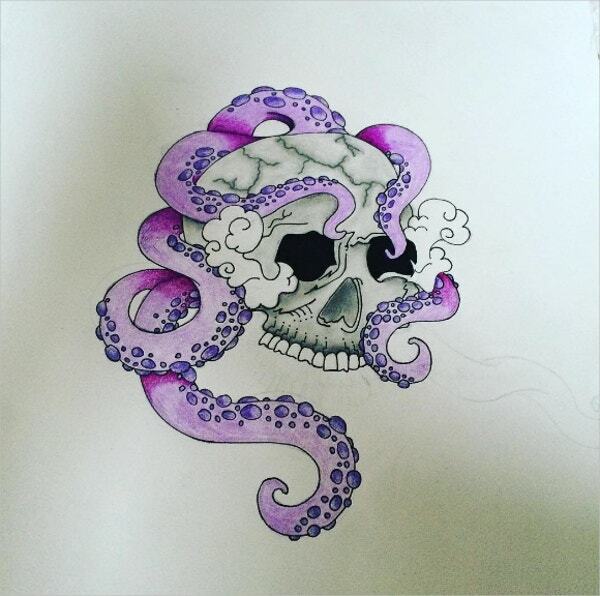 The powers of the skull and the octopus have been beautifully amalgamated in this colorful tattoo design. Octopus denotes complexity, diversity, mystery and vision which exude through this body art design. 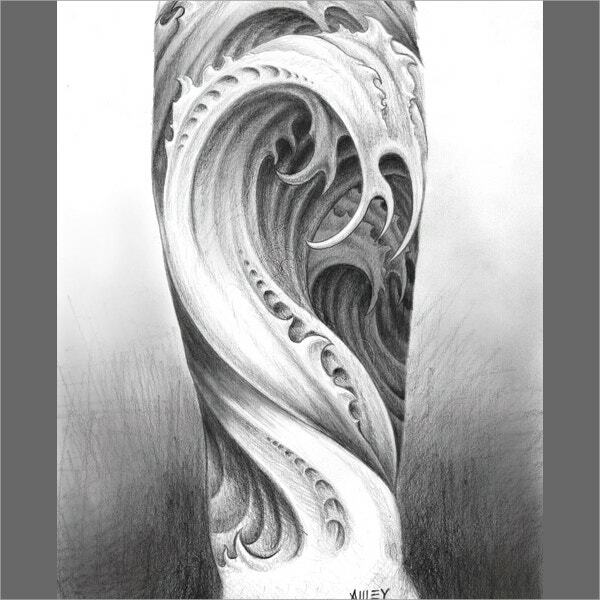 Waves are the symbols of life, strength, mystery, hope and truth and this water tattoo drawing denoting free flowing waves in three dimensions are ideal if you plan to get your hand inked. The elaborate, distinguished and kitschy eagle perched on the skull is a traditional tattoo art concept. 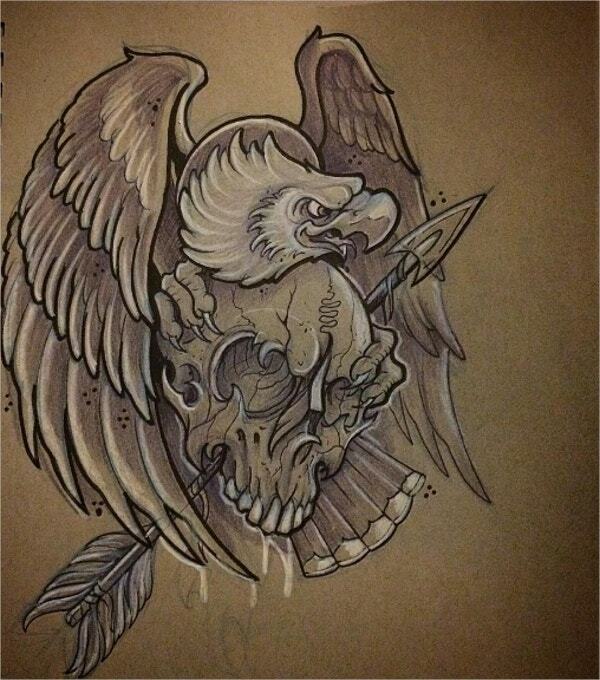 The eagle stands for freedom and the skull reminds mortality and to enjoy each day. 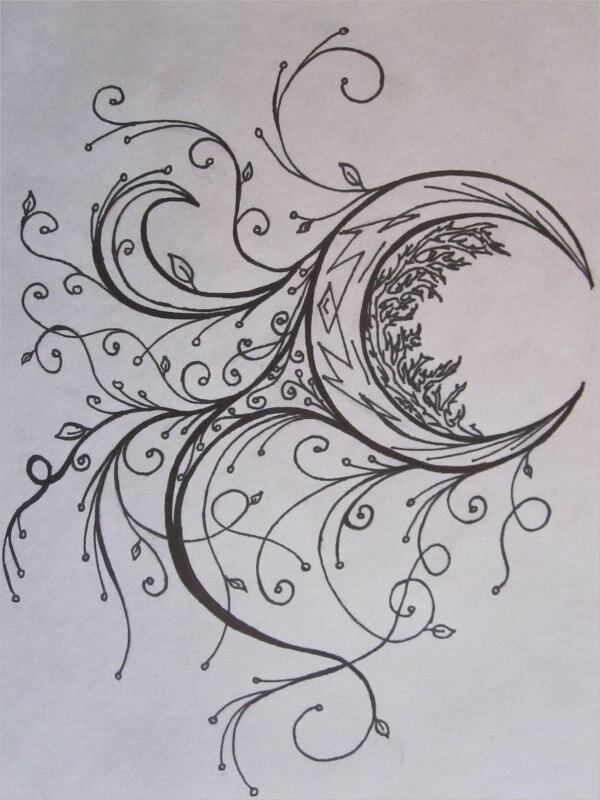 Often tattoos are designed keeping the visual aspects in the forefront and this traditional tattoo art with the crescent moon, the leaves and the twining branches are one such example. 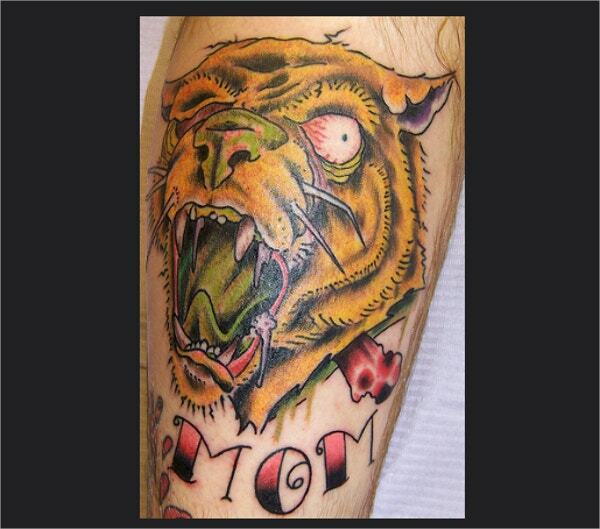 Mountain lions are popularly known to be sublime solitary hunters depicting undulating energy and power and therefore, with this colored tattoo design one can denote his vigor, zeal, and eloquence. Dragon is considered to be one of the most mystical and revered animals of the Asian culture. This Dragon Ink Tattoo can be made on the arm and filled with interesting colors and shading. 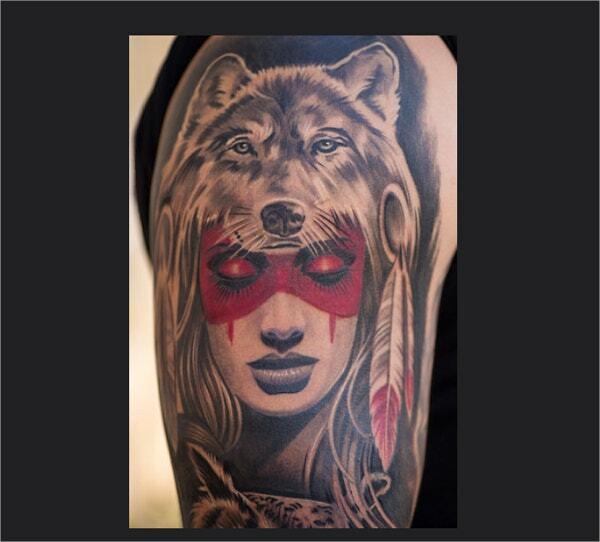 The Wolf Pet Tattoo can be inked on the arm. When you are down, feeling lost and do not know what to do or where to go, the wolf can guide you and restore your wisdom and insights. The culture of flaunting the most intricate and innovative of designs on one’s body with ink has been in numerous cultures across the globe and especially Asia, for times immemorial. 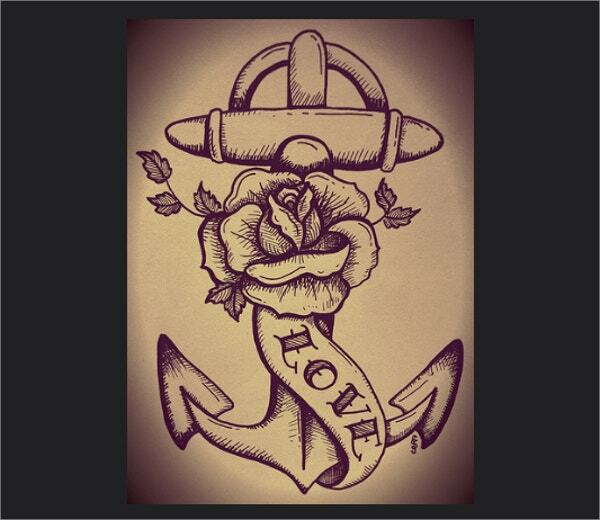 If you are looking for an ideal tattoo design, feel free to check out our sample tattoo pencil drawings for inspiration.